Lee Kenneth Germon (born 4 November 1968) is a former New Zealand cricketer, wicket-keeper and former captain. He played for the provinces of Canterbury and Otago and is the most successful Canterbury cricket captain of the modern era. He holds the unofficial record for the most runs (70), from a single over in first class cricket. Germon made his first class debut as a 19-year-old for Canterbury against Auckland at Lancaster Park on 5 January 1988. Germon became captain of an underperforming Canterbury side after Rod Latham on 31 December 1990. Under Germon's leadership Canterbury went on to unprecedented success in the New Zealand one day game winning the Shell Cup 50 over competition in 1991/92, 1992/93 & 1993/94, two further wins were to follow in 1995/96 & 1996/97. Canterbury also won the New Zealand first class competition the Shell Trophy under his captaincy in 1993/4, 1996/97 and 1997/98. Canterbury also won the one off New Zealand Action cricket trophy in 1992 (Action cricket was a forerunner to Twenty20 and Cricket Max). Germon holds the records for dismissals for Canterbury with 238 in 76 first class matches. He also scored 2336 runs at an average of 30.74. Germon's final match for Canterbury was in the 1997/1998 Shell Cup final which Canterbury won against Northern Districts. In this match Germon broke the New Zealand first class record for a tenth wicket partnership when he shared in a partnership of 160 with Warren Wisneski making 80 runs in his final innings. Germon retired from cricket after the match, aged 29. After season 1993/94, in which Germon led Canterbury to victory in both one day and four day competitions and scored a 100 not out playing for a New Zealand XI against the visiting Pakistan side in January 1994, Germon entered the New Zealand side. Germon captained Canterbury a record 49 times in first class cricket, surpassing Graham Dowling (43). He finished having passed 3,000 first-class runs in his final innings. He holds almost all the Canterbury wicketkeeping records. Most dismissals in an innings: 6 v Northern Districts, Chch, 1992–93. Most dismissals in a match: 9 v Northern Districts, Chch, 1992–93. Most dismissals in a season: 34 (31c, 3s), 1991–92. Most dismissals in career: 238 (217c, 21s). Most dismissals in a match: 5 v Otago, Chch 1988–89. Most dismissals in a career: 96 (78c, 18s). While he missed out on the 1994 winter tour to England, Germon was included in the 1994/95 tour to South Africa when he was taken as cover for wicketkeeper/batsman Adam Parore. On this tour Germon made his ODI debut for New Zealand on 8 December against Sri Lanka in a rain affected match at Goodyear Park, Bloemfontein he kept wickets as Adam Parore played as a specialist batsman. Germon however played very little cricket on the tour. 1994/95 was New Zealand's cricket's centenary season, and it proved a disaster for the New Zealand cricket team. At its conclusion New Zealand broadcater Murray Deaker commented that the only good thing you could say about it from the New Zealand cricket point of view was that it only came once every hundred years. Marred by substandard performances, disciplinary problems and a cannabis smoking scandal, the season proved a watershed in New Zealand cricket and Glenn Turner was introduced as new coach in 1995, as New Zealand cricket sought about changing the culture within the New Zealand cricket team. Turner upon deciding that Ken Rutherford would be replaced as captain appointed Germon New Zealand wicketkeeper and captain recognising that Germon had the best captaincy record in New Zealand domestic cricket at the time. Prior to making Germon captain Turner assessed Germon's wicket keeping abilities consulting with former New Zealand wicketkeepers Barry Milburn and Ian Smith who both considered Germon to be the best the wicketkeeper in New Zealand at that time, former New Zealand captain and then senior squad member Martin Crowe also stated to Turner that he thought Germon as better at wicket-keeping than incumbent wicket keeper Adam Parore. 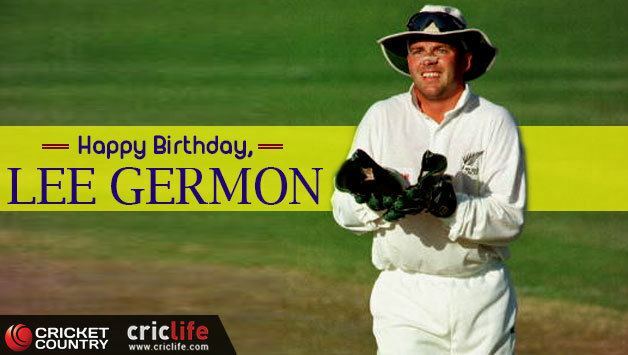 Germon was to play 12 Test matches and 37 ODIs for New Zealand. Germon's captaincy career was to last less than 2 years. His first test was against India in October 1995 a match which New Zealand lost by 8 wickets, Germon distinguished himself in the match, top scoring for New Zealand in both innings making 48 and 41 runs respectively. While the team did not have significant success under his leadership a steady improvement was made on the performances of the 1994 -95 season. Germon's only test victory as captain came in November 1996 when he captained New Zealand to its first test victory over Pakistan, in Pakistan for 26 years. ESPN cricinfo rates Germon's one day cricket captaincy success rate at 44.44%; this is below his successor Stephen Fleming's 48.04% success rate but represented an improvement on Ken Rutherfords 30% success rate. While New Zealand won only one ODI series, against Zimbabwe during Germon's time in charge, they did win 15 games and drew two. Germon's first one-day series in charge was against India in India and it resulted in a closely contested 3 to 2 series defeat. He captained New Zealand to its first ever one day victories in the West Indies in 1996 in a closely fought one day series which NZ lost 3 to 2. There were also series draws against Pakistan in New Zealand 1995/1996 (2 all) and England in New Zealand in 1997 (2 all). He led New Zealand to the final of the 1996 Sharjah cup competition, defeating competition from new world champions Sri Lanka. New Zealand lost in the final to Pakistan. He led New Zealand to the quarter final of the 1996 world cup where despite scoring their highest ever total against Australia (to that point) with 286, they lost. 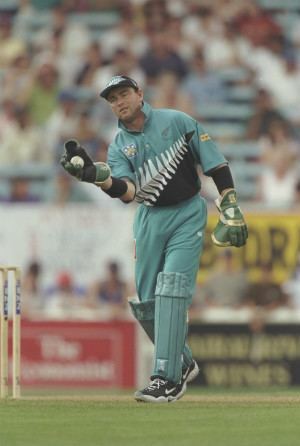 Germon scored his highest ODI score of 89 in that match and finished the 1996 World Cup with a batting average of 63.66, the highest of any New Zealander and any wicketkeeper in the tournament. Along with coach Glenn Turner, Germon had wanted to make significant changes to the culture of the New Zealand team, he was faced with opposition from some high-profile players. There was much dissension in the New Zealand team in the tour of the West Indies in 1996, it has been suggested by New Zealand journalists that Chris Cairns and Adam Parore faked injuries to leave the tour early, after the tour Glenn Turner was deposed by New Zealand cricket, it is widely believed that this conflict with high-profile players along with his loss of form led to Germon's sudden dismissal from the New Zealand side in 1997. While Germon's form had slumped, (in Turner's era he had averaged 25 in ODI's with the bat, and 26.80 in tests), in his last ODI against England he made 4 dismissals, former New Zealand wicket keeper Ian Smith saying that he had "kept like a dream" in his last match. His dismissal from the New Zealand team was highly controversial. It caused protest, especially in Canterbury. New Zealand convenor of selectors of the time Ross Dykes admitted to receiving hate mail and anonymous phone calls over the issue. Germon is one of the few wicketkeepers who have played over ten tests and affected more dismissal than conceded byes. He affected 29 dismissals in test cricket and conceded 24 byes. 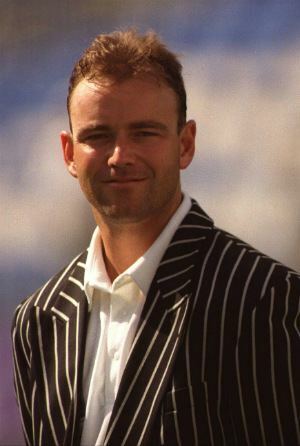 Lee Germon was replaced as New Zealand captain by his Canterbury team mate Stephen Fleming, a player he had tipped as a player for the future in the 1993 Who’s who of New Zealand cricket. Germon scored 70 runs off one over when he faced Robert Vance's "no ball" over on 20 February 1990. The incident took place on the final day of Wellington's Shell Trophy match against Canterbury in Christchurch. It was Wellington's last game of the season and they needed to win to ensure that they secured the title. On the final morning they declared their second innings, leaving Canterbury to chase 291 in what turned out to be 59 overs. Canterbury lost early wickets, and as John Morrison, the former New Zealand batsman and at the time Wellington's coach, later said, they "put the shutters up very early in a run-chase that was very feasible and we just couldn't remove them in the normal way". Although Canterbury had looked set to lose when they slumped to 108 for 8, Lee Germon and Roger Ford had stopped the rot and seemed set to hold out for a draw. Although when the penultimate over started Canterbury were eight wickets down, Germon, was still in and on strike. Morrison and Erv McSweeney, Wellington's captain-wicketkeeper, made a plan and Bert Vance, the New Zealand batsman who was nearing the end of his career and so had no bowling figures of any note to worry about, agreed to help them. The idea was to feed Canterbury enough runs so that they would get close enough to the target and then perhaps risk their last two wickets going for glory. They began the over on 196 for 8 with Germon 75 not out. Vance proceeded to bowl a succession of no-balls, and of his first 17 deliveries only one – the second – was legitimate. Full-tosses were repeatedly thrown down from two or three yards down the track – "Bert overdid it somewhat," recalled Morrison – and each one was cracked to the boundary past motionless fielders. Germon brought up his hundred off the sixth ball, and in all he took 70 off the over, including eight sixes and five fours. Ford faced two balls midway through and scored five. 77 runs in all were conceded in the over of full tosses, which contained 17 no-balls and owing to the umpire's miscalculation, only five legitimate deliveries. Off the pitch, the scorers and scoreboard operators lost track of what was happening and at one point resorted to consulting with spectators to try to resolve the chaos. Even the umpire was left confused, only allowing five legitimate deliveries before calling an end to proceedings. The situation had not been resolved when Evan Gray bowled the final over. Unbeknown to both sides, Canterbury had moved to within 18 of victory, and another 17 from Germon off the first five balls levelled the scores. But with the scoreboard rendered inactive as the scorers still battled to make sense of Vance's over, Ford blocked the last delivery of the match. Only when the players returned to their changing rooms did the position become clear. This has not been considered an official record, since it was achieved under contrived circumstances. It appears as a footnote in the official wisden records. Germon later described the incident as his most embarrassing moment in the 1993 Who’s who of New Zealand cricket. After retiring from cricket in 1998 Germon was persuaded to play cricket again by his former Canterbury coach Denis Aberhart and former New Zealand coach Glenn Turner to play for Otago. Germon was to play for an underperforming Otago team as a batsman between 2000–2002. He chose to play for Otago citing the fresh challenge it offered him. Germon played as a batsman only and did not match his previous achievements as a player. In 1998 Germon became the South Island development manager for the Bank of New Zealand before moving on to work at St Andrew's College as its development officer in 2000. In 2004 Germon shifted to Mainland Soccer as CEO for what turned out to be only a 10-month stint before he moved to Nelson to become CEO of the Tasman Rugby Union. In 2009 he returned to his home city of Christchurch to become CEO of Canterbury Cricket. Lee Germon and his wife Toni have four children.